What are relationships? Why Do I Need to Have Emotions? by Heidi Rogers, counsellor, psychotherapist. Understanding exactly how your brain works is fundamental to unlocking your anxiety, trauma and stress responses. This includes everything from PTSD and panic attacks, to phobias and mild anxiety that we may feel from time to time. So how does your brain work? In a nutshell, sensory input arrives at part of your brain called the thalamus, which relays the information to your amygdala (aka: ‘lizard brain’) and your cortex (aka: ‘monkey brain’). Anxiety is a normal, helpful emotion that is designed to keep us safe. It helps us take notice, become aware, and tune in: something doesn’t feel safe – emotionally or physically, and our brain is trying to let us know. Going to do a public speaking event and feel butterflies in your stomach / tightness in your chest? That’s because historically, millions of years ago, if you were surrounded by 100 pairs of eyeballs looking at JUST you, that would mean you were about to be dinner! Increased heart rate, muscle tightness and thoughts like “Get outta here! Don’t do it!” is your brain’s way of telling you that you’re walking into an unsafe situation. It starts preparing to fight, or run away. Millions of years ago being stared at by 100 eyeballs meant death, but in the 21st century that isn’t the case. Our brain is still operating on some old wiring and old lessons learnt. 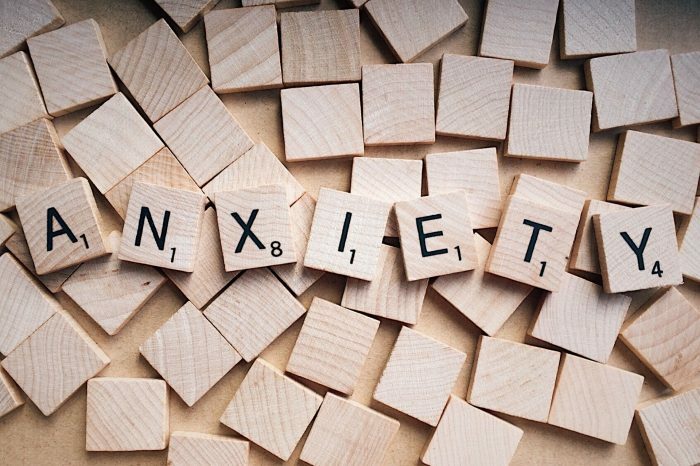 Our anxiety becomes unhelpful when it controls us, dictates our life and prohibits us from doing the things we want: public speaking, flying, driving, or attending social functions, for example. 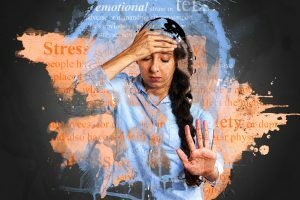 Understanding the core of anxiety – fear and safety – is crucial in disconnecting the power it has over our lives. But first we have to understand exactly what we’re feeling afraid or unsafe about, then we can start to unpack our anxiety and bring a sense of safety back into the body. Anxiety can be the precursor to the ‘fight / flight / freeze’ response, which is the most basic way our brain knows of how to keep us safe. But it can sometimes operate in subtle ways. This response is why we sometimes feel like “I really need to get out of here” when our anxiety peaks. It can also make us feel paralyzed when conflict, anxiety, trauma or overwhelming emotions arise, or drive us to lash out physically or verbally in response to those stimuli. The amygdala is a small almond-shaped part of the brain that drives the ‘fight / flight / freeze’ response and can generate a lot of physical responses – dilated pupils, increased heart rate, breathing capacity, tightness in muscles etc. It is responsible for getting you moving if danger strikes. It is named for its almond shape – the direct translation of ‘amygdala’ in Greek is actually “almonds”. If you find the intersection of the points that run through your eye and through your ear, that’s where the amygdala sits. It’s important to know what it’s called and where it sits, because part of learning how to master anxiety is to understand that it’s not “me” or “my fault”, nor is it a lack of sheer “willpower” keeping you from conquering it. It’s not that simple and having anxiety is not a choice. Why would anyone actively choose to feel scared, worried or have a racing heart all the time? This explains why in some instances medication can be incredibly helpful in managing anxiety, particularly while you learn other skills in therapy and begin discovering the areas where you DO have a choice and can regain control. The cortex is the thinking part of the brain, where our analysis and reasoning takes place. It’s where we obsessively ruminate about things, worry, or analyse conversations over and over. It is the ‘logical’ part of the brain that can look at things rationally and less emotionally. The cortex may be the more evolved or the ‘monkey’ part of the brain, but that doesn’t mean it’s in charge. When big stress or anxiety hits, the amygdala runs the show because its purpose is to keep us safe. It makes sense if you think about it. Where safety is concerned, we can’t afford to take the time to process things or analyse them rationally. Touch a pan on the stove that you didn’t realize was hot, or see a stick on the ground and jump back because you thought it was a snake — those actions are not guided by the cortex. If the cortex was in charge we would burn our hand or get bitten by a snake because the reaction time would be too long for the cortex to process the decision. The only problem? Your amygdala is in the driver’s seat initially when anxiety hits….and NOT your cortex! The amygdala can easily hijack your brain because it’s centrally located, and has more connections throughout the brain than your cortex. When you jump out of the way to avoid being hit by a car, or flinch when something startles you, that response is your amygdala in action. It’s where fear lives and specific memories and data lie (the smells, sounds and sights that we experienced during a stressful situation). The amygdala helps you avoid danger, but acts without consulting you (tapping into the cortex)! Which is why having anxiety is not a choice. It is the brain responding to stimuli. The choice part comes into it when we start to choose how we calm the amygdala and re-train our brain. THIS is the secret to destroying the power of anxiety. Here is the kicker: the number one issue is that most people only treat cortex-based anxiety and ignore amygdala-based anxiety. For example, during a panic attack, people will only try to talk themselves out of it, or reassure themselves through thoughts (a function of the cortex). Or when someone is triggered by a stressful memory or flashback, or feels a panic attack coming, they might try to remind themselves they are safe and not in danger (the cortex at work again). However, the amygdala is driving the panic attack, not the cortex. So ‘speaking’ to the amygdala in cortex language (reasoned thought) is not quickly effective. We need to calm our amygdala with language it understands. Being our lizard brain means it needs super basic instruction and techniques to achieve this goal. After you calm the amygdala, then you can use cortex-based strategies like re-framing your thoughts, asking yourself if your anxious thoughts are based on fear or truth, or make a list of alternative thoughts that can quiet the automatic thoughts. So… how do you calm your amygdala? In short, belly-breathing (not “deep” breathing! Google: diaphragmatic breathing to find out how), is the quickest option. Once you’ve calmed your amygdala, then you can bring the cortex in and begin telling yourself calming thoughts of reassurance. But this is the key: you must FIRST do the belly-breathing to calm amygdala down. Once amygdala is calmer, the cortex will come back online and you can begin rationalising and using logical thought to diffuse the situation. My favourite ways to re-train the amygdala, navigate a panic attack (and / or lessen the frequency of anxiety) are via techniques that reduce amygdala activation. Belly breathing – breathe slowly and push out your belly button on the inhale. Count the inhale to five, then exhale slowly while counting to five again. While exhaling, try to push your belly button out. It may seem weird and kind of simple, but by opening up your diaphragm a message is sent directly to your amygdala that everything is ok and your body is relaxed. We don’t breathe nice, slow relaxed breaths if we are being chased by a lion, right? This slow and deliberate breathing calms the amygdala into thinking it is relaxed and happy. This technique is the quickest way to calm your body during a panic attack and a non-negotiable first step to stopping the panic. Progressive muscle relaxation (‘tighten then release’) – start by tensing your toes, and then releasing. Slowly work your way up your body, tightening your muscles and then relaxing. Make sure to tighten your jaw and face muscles and release them. This should take about 15 minutes to slowly work through your entire body. Tension audit – ask yourself where you’re feeling tense and complete a slow scan of your body. Identify any trouble areas and focus on relaxing them, one-by-one. Imagery / visualisation – use your mind to visualize a cool and relaxing place. Some common visualisations that help include the beach, forest, space, mountains – anywhere that brings a feeling of calm. Close your eyes and explore your imagined environment, taking in the sights, sounds, smells and general feeling to enhance your sense of wellbeing. Meditation – this is a phenomenal practice that has many short-term and long-term benefits. Meditation won’t do much for you during a panic attack because it utilizes the cortex. But the purpose of meditation practice is that it structurally changes your amygdala over time, and reduces the activation that your amygdala experiences during stressful situations. When learning how to meditate it’s encouraging to know that nobody starts out ‘good’ at it initially. It takes practice to learn how to quiet the mind! My favourite person for guided meditations is Tara Brach: https://www.tarabrach.com/guided-meditations/.